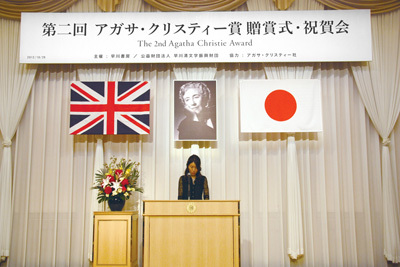 I was so pleased to hear that Ms Yuka Nakazato has been announced as the winner of the 2nd Agatha Christie award. 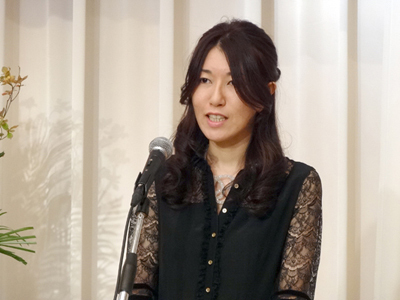 Such a distinguished book and winner will ensure that crime writing in Japan will continue to flourish. The Queen of Crime herself, my Grandmother Agatha Christie, would have been very pleased about that. 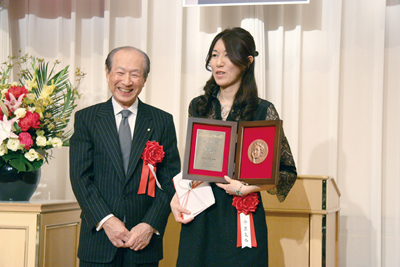 My best wishes to the winner, all the other contestants, Hiroshi Hayakawa and his colleagues, and to all crime readers in Japan.